Designed by CoolBitX Company, from Taipei, Taiwan, CoolWallet is one of the most convenient bitcoin hardware wallets. It is a credit-card-size Bluetooth device and with it you can enjoy the best bitcoin experience. A unique design, very small and packed with security, the CoolWallet will help you send and receive bitcoin with ease. 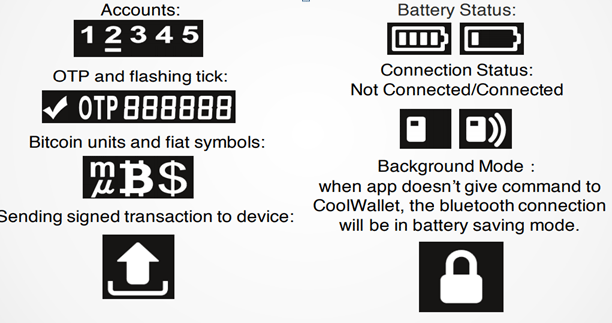 The main components of the CoolWallet are an e-paper display and the power and control button. Unfortunately, the device supports only bitcoin transaction at the time of writing. Probably more crypto currencies will be added in the near future. CoolLink is a wireless charging device that was designed in order to charge the CoolWallet. By simply placing the CoolWallet on it, the charging process will automatically begin. In order to set up the CoolWallet, you will need to download the mobile app, from Google Play or AppStore. You need to pair the device with your mobile phone or tablet, in order to use it properly. Unfortunately, only mobile control is possible. You can purchase one piece, for 119 US dollars, plus 15 US dollars shipment cost. Or you can two devices for 189 US dollars, plus shipping cost. Overall, the CoolWallet looks like a premium device, with people that can afford to spend a bigger budget on hardware like this. Also, taking into account the price and also the fact that you will be able to make just bitcoin transactions is a minus, since you can find hardware that is less expensive but support a bigger range of digital coins. The CoolWallet is a well-designed hardware wallet for bitcoin, but the company has still many features to include, the most important one being support for multiple crypto currencies. Summary: Designed by CoolBitX Company, from Taipei, Taiwan, CoolWallet is one of the most convenient bitcoin hardware wallets. 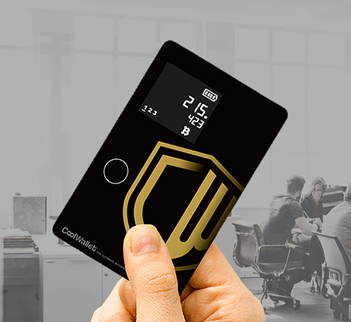 It is a credit-card-size Bluetooth device and with it you can enjoy the best bitcoin experience.